This past month has seen Christmas come and go and with it a change in our siblings relationship. Ethan finally understands the concept of opening presents. This meant that he wanted to open everything that was wrapped. We tried to make him aware that Little E also had Christmas presents, Father Christmas even colour coded them. Little E had blue Frozen wrapping paper and Ethan had red Mickey Mouse wrapping paper. Thankfully with Little E being so small she needed help opening her Christmas presents. Next year might be an issue when Little E is ready to open her own presents. We then experienced teasing from Ethan as he found Little E’s gifts much more appealing than his own. He would give her one of her toys but then take it off of her and hold it above his head. He found this very funny and this new game has continued through the month. He does keep taking her toys off of her and we are having to remind him that certain toys are hers. Little E’s new toys have brought a few moments of them playing together. Ethan loves cause and effect toys, as that is where he is developmentally, and that is what baby toys are all about. For the past few nights they have also been watching In The Night Garden together. We thought this was something Ethan had grown out of but he is embracing it again and Little E looks like she is enjoying it. Little E will still only laugh at Ethan, no matter how hard we try to make her giggle. Must be something to do with their sibling bond! Aww I think that’s so sweet that she saves her giggles just for him – she must know what a very special big brother he is. And they do look so sweet together – I can’t believe how big she’s getting all of a sudden! I know she really is filling out. Must be all the food she is trying now! What a cute pair! Our eldest is the one who makes the littlest laugh the most too. Little E is looking terribly grown-up all of a sudden! I love how serious she looks, in comparison to Ethan’s cheeky grin. Thank you. Yes as soon as the present is unwrapped he moves on. Perhaps we should just wrap up lots of empty boxes for him. He will love it! Even next year you’ll probably find he gets to open most of the presents! Chlo got fed up last year (at 2.5yo) but this year she was well in there too! Such cute photos – Little E is growing so fast! We still have issues with toy snatching at times, it does get easier as little ones get bigger and start ‘fighting’ back! I do think Ethan will have a shock when she cam fight back, it will do him the world of good. It just may not be easy! 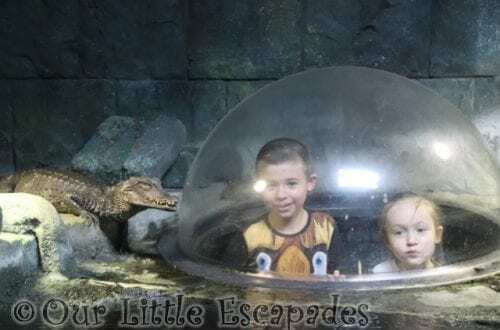 What I love in these siblings shots is the huge smile on Ethan’s face as he stays close to Little E.
My middle daughter would only ever laugh at her older sister too! My gosh Little E is looking so much more grown up all of a sudden. These photos are just so cute of the pair of them; he looks like the proudest big brother, and she just looks like she doesn’t get what all the fuss is about. Beautiful photos, especially the first one and so lovely that you are having moments of them playing together and watching In the Night Garden together – they do look so happy together in the photos.